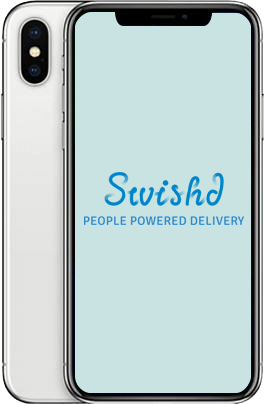 Swishd is the new way to send, transport and receive deliveries using the power of everyday people. When you need something delivered or collected Swishd helps you find someone already going that way. Send it. Deliver it. Swish it. Sign up using this form and be the first to hear about the Swishd App launch. All new subscribers who download the App and register will go into a draw to win an iPhone X or Samsung Galaxy Note 8.